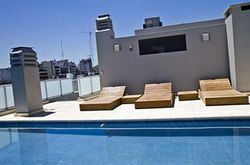 Property Location A stay at Dream Studios Buenos Aires places you in the heart of Buenos Aires, minutes from Alto Palermo Shopping Center and close to Teatro Colon. 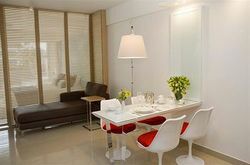 This aparthotel is close to Obelisco and Plaza de Mayo. Rooms Make yourself at home in one of the 29 individually decorated guestrooms, featuring kitchens with refrigerators and stovetops. Your Select Comfort bed comes with Frette Italian sheets, and all rooms are furnished with queen sofa beds. Rooms have private balconies. 32-inch LED televisions with cable programming provide entertainment, while complimentary wireless Internet access keeps you connected. Amenities Enjoy recreation amenities such as an outdoor pool or take in the view from a rooftop terrace. 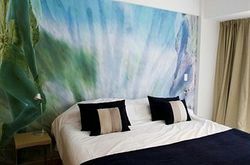 Additional features at this aparthotel include complimentary wireless Internet access, concierge services, and barbecue grills. Getting to nearby attractions is a breeze with the area shuttle (surcharge). Dining Continental breakfasts are available for a fee. 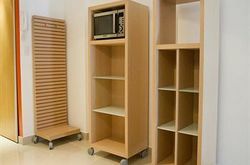 Business, Other Amenities Featured amenities include dry cleaning/laundry services, multilingual staff, and luggage storage. For a surcharge, guests may use a roundtrip airport shuttle (available 24 hours) and a cruise ship terminal shuttle. 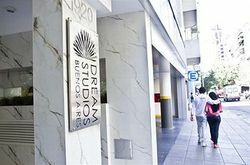 If you are looking for accommodation in Buenos Aires, we can recommend you to check Dream Studios Buenos Aires. We stayed there and had a very pleasant time.